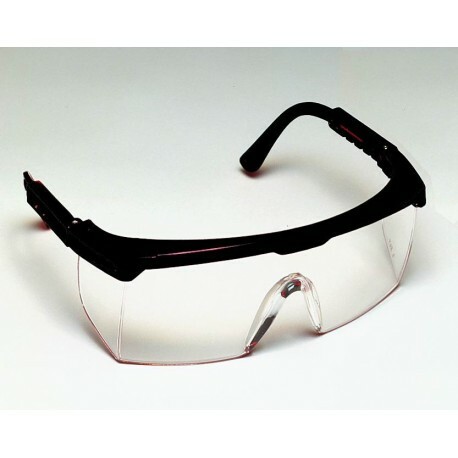 With interchangeable lenses, the SAF-T-CURETM ANTI-FOGGING UV SAFETY GLASSES are the versatile solution to a wide range of protective eyewear needs. The standard glasses offer UV absorption with high impact protection and adjustable temples for a comfortable, custom fit. Choose from 2 colors of frames and 2 shades of lenses. Optically correct, scratch and solvent-resistant lenses meet ANSI Z87.1 and CSA standards for eye protection. Coated anti-fog and replacement lenses available. Sold individually or 24/case.